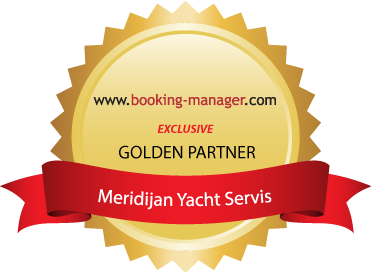 Meridijan is a family owned charter company founded in 1993. Over the years we have gained experience in both bareboat and crewed charter and developed in a modern organized company that offers highest standards, quality and safety, with a full professional support in yacht charter, brokerage, charter management and yacht service. Our friendly and individal approach to each guest is what makes us different. From your first email request, to your booking reservation, arrival to our base, check-in and check-out, we’ll always be at your assistance. Fleet of 20 sailing yachts and one motor boat is situated in Marina Zadar (Zadar city centre). Here you can choose sailing boat types of the leading European manufacturers like Jeanneau, Beneteau, Elan, Bavaria and Salona in a range from 32 to 47 feet, as well as motor boat Swift Trawler 42 or a catamaran Nautitech 441. Our boat service team (mechanic, electrician, carpenter, skippers and cleaning ladies) is taking a good care for all of our boats during the whole year. Before every start of the season each boat goes out of the sea, gets a new antifouling, polishing and required keel repairs. Boat engines are completely checked before start of the season and then again before every check-in. Our goal is to ensure a perfect holiday without any boat problems, but if something unpredictable happens any way, we’re also here to help you as soon as possible. If you need our offer for daily sailing, cabin charter, week sailing with or without skipper, please contact us. We’ll help you to experience your perfect holiday in Croatia.